- New articles released in Astronomy, Amateur Astronomy, and Astronomy Technology Today magazines. New Advanced CT Laser Collimator review from Astronomy Magazine. Read the article. 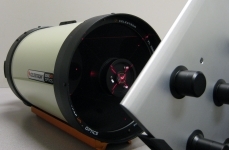 Advanced CT Laser Collimator review from Amateur Astronomy Magazine. Read the article. Advanced CT Laser Collimator review from Astronomy Technology Today. Read the article. The Advanced CT Laser Collimator simulates a real distant star light path, and as a result it can collimate most telescopes which primarily rely on star collimation. 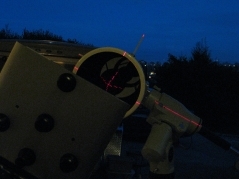 The collimation technique can be implemented on any size telescope. The current production model is designed to collimate telescopes with a primary mirror greater than 7-1/5-inches and a secondary mirror obstruction diameter less than 6-1/2-inches. For other larger sized telescope, please email (info@hotechusa.com) or call us for custom sizes. by amateur astronomer Marc Aragnou. 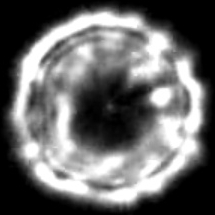 See our Advanced CT Laser Collimator in action on videos. Also see users' Testimonials and Reviews.